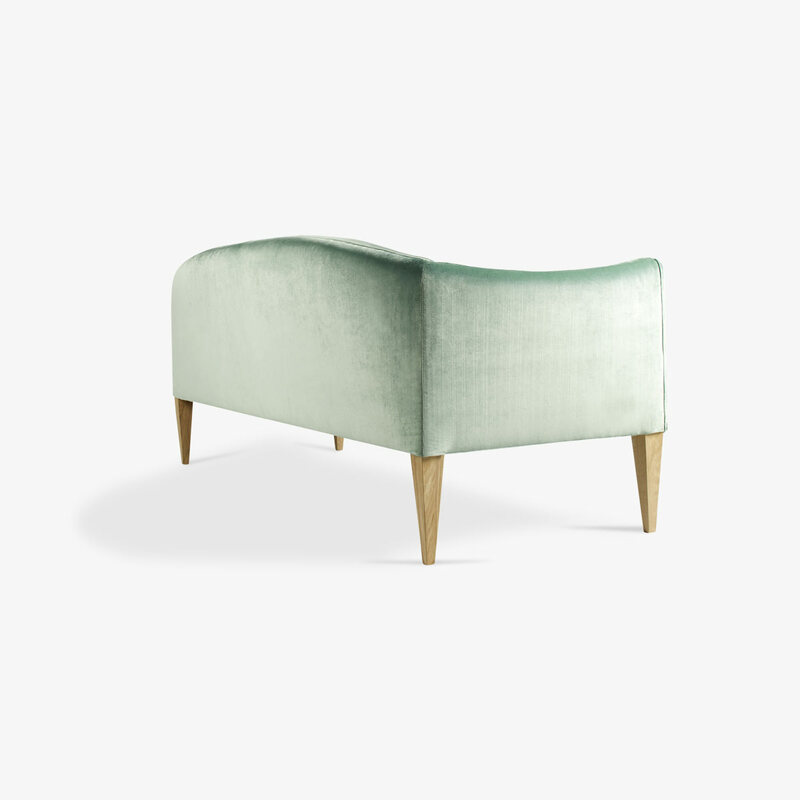 Introducing the newest piece from Illum Wikkelsø, the V12 Sofa, originally designed in the 1960's the sofa boasts firm upholstery and elongated tapered legs that provide a taller seat height. The soft undulating lines that surround the arms and back of the V12 are signature Wikkelsø details inspired by the Danish landscape. More feminine in its contouring than the V11 Sofa, the V12 sit is also more upright and seat height elevated. Coming soon to our Sydney showroom, the V12 is available to view in our Fitzroy Showroom now. Price listed for 3 Seater in velvet Palermo Azure upholstery as shown, other upholstery options are available.